I originally started playing tennis. But my Dad was really into his squash. So one day, I gave it a go and absolutely loved it. I was hooked straight away, much to my Dad’s delight. My motivations for playing have evolved over the years. But that love for the game has always been there. I think it has to be. At every level, I’ve wanted to be the best I could be. No regrets. That’s what’s driven me. 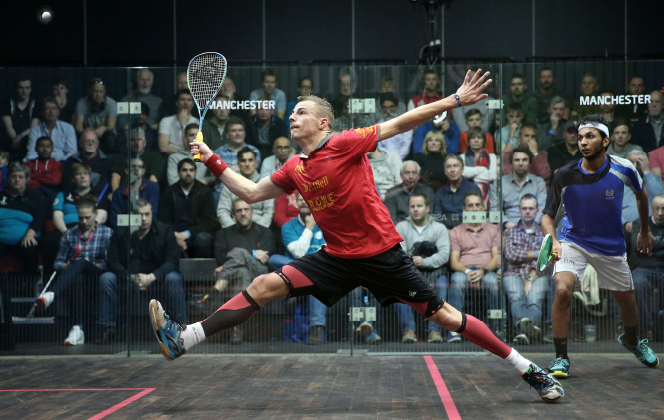 I love the way squash challenges every facet of you as a person, not just as an athlete. Every day’s a new challenge – in training or at a tournament. That’s what keeps it fresh. I like that challenge and the process of figuring out how to get better. That of course means looking at both the mental and the physical side. I focus on four areas – physical, mental, technical and tactical. I visualise them as equaliser bars on a stereo. They all influence each other. If one’s not in the correct position, it affects all of the others. And the mind is something you need to train, just like your forehand. So get some good advice on your mental game. My main aim is always to be the very best I possibly can. Both as an athlete, but more importantly as a person. By doing that, I can make those close to me proud. And be remembered. That’s really my ultimate aim. I’ve always worked really hard to get better. Titles are a great thing to motivate you to get there. They give you your own little place in history. So my proudest achievements are my three world titles and my three Commonwealth Games Gold medals. They’ll be written under my name forever. No-one and nothing can take those away. I usually go for a gym session in the morning and get on court in the afternoon. The intensity and the content of the sessions changes, depending on what I need. Sometimes I need to get on the weights and the circuit training. Other days I need to hit the bike or go for a swim. Then, to keep the body in shape, I do a lot of mobility work and yoga. Plus I see the physio twice a week. I’d advise any aspiring player to go to a pro tournament live. It’s a great way to see close up, what the top players do. 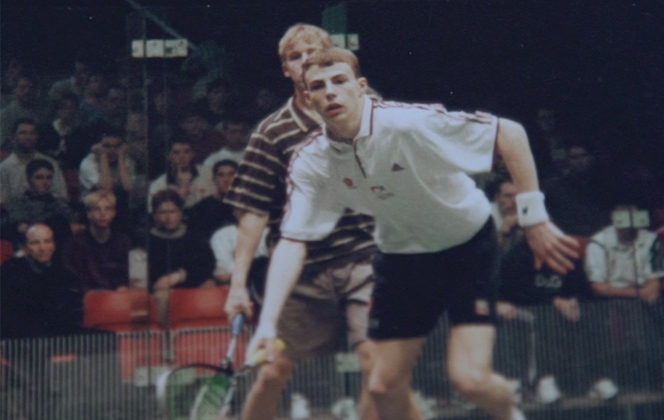 I went to the British Open every year at Wembley and without doubt, it inspired me to play squash professionally. I’m also inspired by people who reach the top in their profession, people who achieve great things, but in a way that exudes class on a personal level. People like Chris Hoy, Jessica Ennis-Hill and Ellery Hanley. There’s a great quote from the American writer, Ralph Waldo Emerson that encapsulates that idea really well: “Do not go where the path may lead, go instead where there is no path and leave a trail.” Basically it’s saying leave your mark on life. Make people remember you. That’s something I always try to do. There are some tournaments that have been an inspiration to me. The Tournament of Champions in Grand Central Terminal in New York was always special. You feel like a rock star on that stage. And the atmosphere is second to none. It makes me a bit sad that I’ll never play there again, since this is my last season on the pro tour. Picking myself up after a tough game can be hard. I try to remember that it’s a marathon not a sprint. As long as you take something positive from the game, you can still see it as a win. Losses are speed bumps in the road and if you use them wisely, you’ll learn more from them than you will from the wins. The travelling we do is tough on the body for sure. But you can underestimate its effect on the mind. It can be lonely and you can get into your own bubble. My family, my close-knit coaching team and my friends keep me attached to reality. Then to try and switch off, I enjoy watching football and the Six Nations rugby. A round of summer golf is a great way to switch off. And I love spending time with my family. 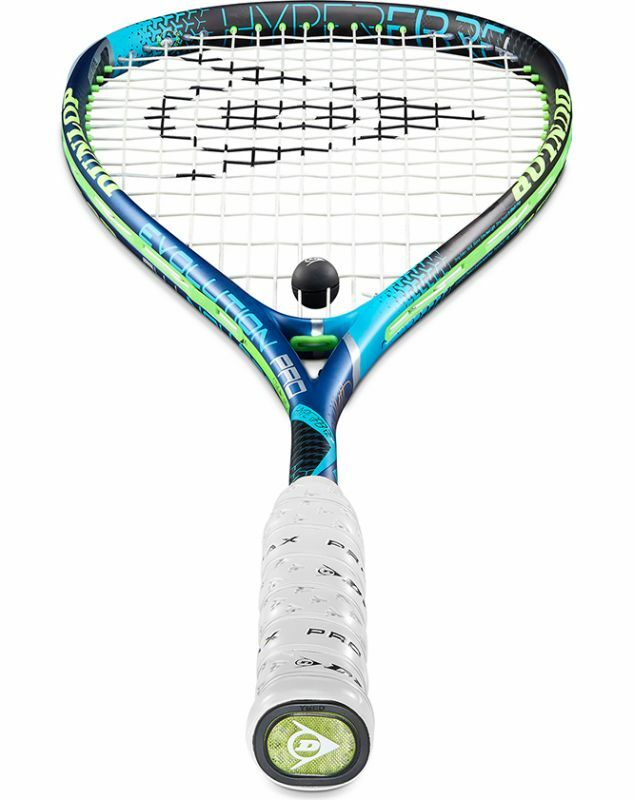 A hybrid frame shape gives the racket increased stability, so you can hit a shot of pure, focused power.